Welcome to the site where the best of NFL Weather History is collected and celebrated. 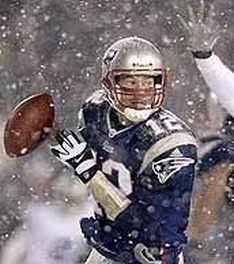 One of the appeals of American football is that it is an all-weather sport. 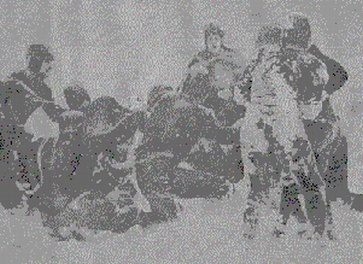 Despite those who seek to make the pro game a plastic indoor event, the league continues to produce memorable games combining sports action and the challenge of the elements. 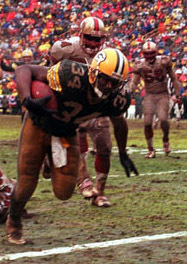 These games have been selected on the basis of the weather's impact on the contest, the severity of the weather, and the importance of the game. If you have any games to nominate or find any errors, place as many details as you know in the Suggestion Box. Enjoy your stay in the Hall, stop by again sometime for later updates. This site is not endorsed by the Pro Football Hall of Fame nor the NFL. Click here to read about the preseason events. David Defoe, Apple Valley, Minn.
And to Scott Crevier for the useful listing of all Packer games on the South End Zone.